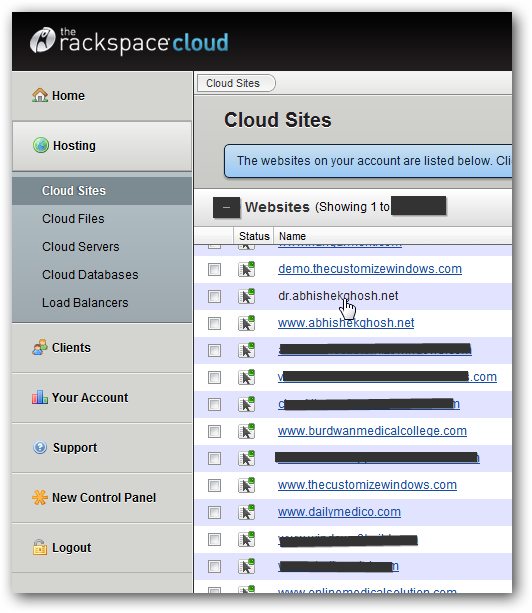 Installing FestOS on Rackspace Cloud Sites is easy and within few minutes you can run a nice looking festival special OS on your Rackspace Cloud account. Technically it is far superior than many other online OS we installed as guides, if you are looking for a general purpose online OS read the guide on eyeOS. ownCloud, although not really an online OS, can be considered. For various reasons, it is better to take the policy for Installing FestOS on Rackspace Cloud Sites on a subfolder of a relatively inactive domain just like we did for ownCloud and then robot it out with robots.txt. 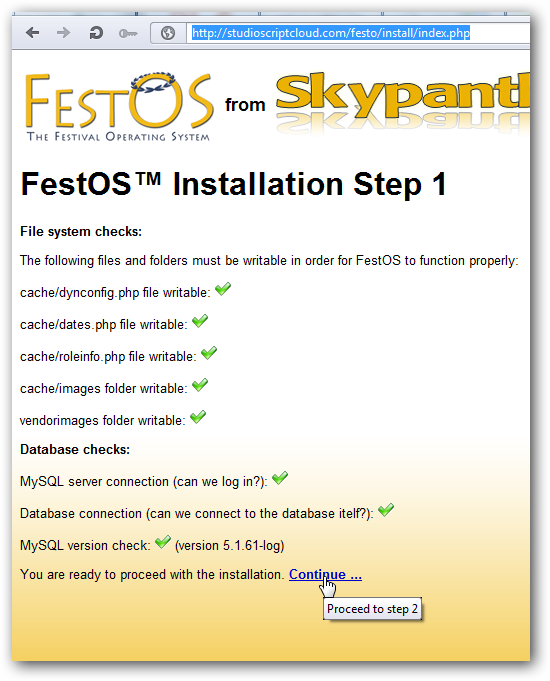 Quite obviously, use a separate new database for Installing FestOS on Rackspace Cloud Sites, which is within this guide. Someone was asking in another guide where to click. Its here. Please follow the guide on Installing ownCloud on Rackspace Cloud Sites : Creating Database (scroll down there). Below the second screenshot on that guide, there will be the Installing ownCloud on Rackspace Cloud Sites : Creating Database sub header. Follow that. Installing FestOS on Rackspace Cloud Sites is done ! Festival is over, all guests has left, the project has died. Still, it is quite useful for event management on few clicks. At the last paragraph of Installing FestOS on Rackspace Cloud Sites, probably you become a bit sad thinking the domain will not be maintained after the fall in this year. The importance of Google Projects is noticeable here, definitely. This Article Has Been Shared 3620 Times! 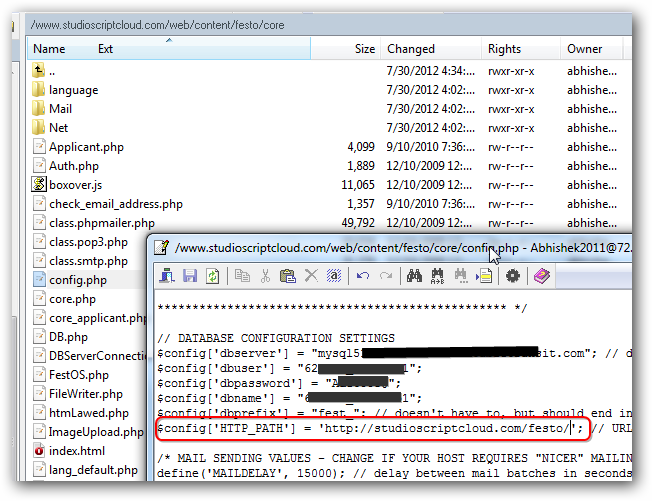 Cite this article as: Abhishek Ghosh, "Installing FestOS on Rackspace Cloud Sites," in The Customize Windows, July 30, 2012, April 25, 2019, https://thecustomizewindows.com/2012/07/installing-festos-on-rackspace-cloud-sites/.